Online shopping is at an all-time high, with an estimated 1.66 billion online shoppers worldwide. And according to a report by Statista, in 2017, global e-retail sales totaled $2.3 trillion U.S. dollars and projections show a growth of up to $4.48 trillion dollars by 2021. In Asia Pacific, e-retail sales accounted for 12.1% of retail sales in 2016 and mobile shopping is on the rise. In the third quarter of 2017, smartphones were the number one device in terms of retail website visits. As more people turn to their computers and smartphones to shop, the demand for talented digital marketers will continue to grow. While having an eye for sales is a great start to a career in this thriving market, to compete in the global industry, you will need a degree from an accredited school. We’ve identified five top schools that offer a variety of program options for aspiring digital marketers. The schools in our guide are popular in both the academic and professional worlds, and they are fully accredited. We are happy to report that the schools below offer top digital marketing programs leading to a bachelor’s or master’s degree. The schools are arranged in alphabetical order, beginning with Franklin University. Founded in 1902, Franklin University is one of the largest private universities in Ohio. The school, which has 45,000 alumni worldwide, enrolled nearly 2,000 students for Fall 2017 across five campuses in Columbus, Illinois, Indiana, Pennsylvania, and Wisconsin. Three academic colleges offer dozens of programs in art, science, technology, business, health and public administration. Accredited by the International Accreditation Council for Business Education (IACBE), Franklin University’s Ross College of Business offers a BS in Marketing with a Concentration in Digital Advertising that can be completed 100% online. The program allows students to tailor the curriculum by selecting electives that they are “excited about,” says the school. The program combines both strategic and digital marketing, as well as a project-based curriculum where students engage in real-world projects in an experiential business environment. Sample courses for the 124 semester hour program include Digital Marketing, Digital Marketing Analytics, Global Marketing, Integrated Marketing, Search Engine Marketing, and Social Media Marketing, to name a few. A capstone and internship are also part of the program. Established in 1979 as Full Sail Productions, Full Sail University offers arts, entertainment, media and technology programs. Accredited by the Accrediting Commission of Career Schools and Colleges (ACCSC) and licensed by the Commission for Independent Education (CIE), Florida Department of Education, the school serves 15,000 students across 210 acres of campus space, including 110+ studios and labs. Around 93 program options lead to an associate's, bachelor’s or master's degree. 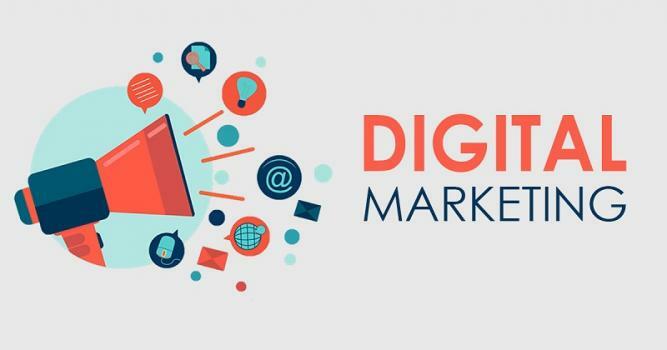 Among these programs are two degree options for aspiring digital marketers including BS and MS degrees in Digital Marketing. Per the school, students in the BS program will “explore the ongoing conversation between marketers and consumers on a professional level.” Students will learn to “develop dynamic content for a multitude of industries while providing clients with search engine optimization and analytics to ensure products reach their target audience.” Learn more about Full Sail's programs. The MS in Digital Marketing “offers an advanced overview of multichannel marketing, including the fundamentals of web culture, SEO, and analysis of consumer behavior patterns.” Course highlights include Advanced Digital Marketing Strategies, Advanced Search Engine Optimization, Consumer Behavior and Analysis, Digital Design and Usability, Digital Marketing Law, Digital Marketing Campaign Development, Mastery: Personal Development and Leadership, and Strategic Internet Public Relations. The MS in Digital Marketing takes just 12 months to complete. Founded in 1875, Park University serves nearly 17,000 students from 58 countries. With one residential campus and forty campus centers located in 22 states and the District of Columbia, the school offers 64 degree programs and 27 certificate programs through three colleges and dozens of schools. The College of Management at Park University is one of the largest non-profit management colleges in the nation. The College consists of the School of Business and the Hauptmann School of Public Affairs. Both schools have undergraduate and graduate degree programs, with the School of Business offering a BS in Marketing with a Digital Marketing Track. Accredited by the Accreditation Council for Business Schools and Programs (ACBSP), the program equips students “with skills relevant to the digital landscape,” which the school says, “has become the “new normal” in the world of business.” Students in the program will complete the marketing core as well as specialized courses in the Digital Marketing Track. Of the 60 credit hours in the BS program, 24 are in the Digital Marketing Track. Students can expect to take courses such as Consumer Behavior, Digital Media Skills, E-Marketing, Graphic Design Software, Marketing Research and Information Systems, and Social Media Marketing. Although it is not a requirement, students are strongly encouraged to complete an internship, which allows them to earn up to six credit hours while exploring their career prospects. In addition to digital marketing, graduates are prepared for careers in brand and product management, business-to-business marketing, international marketing, marketing research, retailing management, and many others. Purdue University Global was formed in early 2018 after acquiring Kaplan University. Part of the Purdue University System and with a main location in Chicago, the school offers more than 180 fully online programs, including a BS in Business Administration with a Concentration in New Media/Internet Marketing and an accelerated MBA-New Media/Internet Marketing. Students in the comprehensive BS program will complete 33 core credits, 88 major credits, and 59 elective credits for a total of 180 credits. Courses for the concentration (BS and MBA) include Advertising, Promotion, PR - Integrated Marketing Communication Strategies, Digital Marketing, Marketing Management, and Social Media Marketing. Global Business, Management Policy and Strategy, Operations Management, and the Technological Revolution - A Social Scientific Approach, are just a few business courses in the program. Because there are so many required elective credits, students can choose courses from other concentrations to refine the degree. Procurement, Project Management, and Sales Management are just a few. Students in both the BS and MBA programs -+will complete an internship or capstone in management. Founded in 1932, Southern New Hampshire University (SNHU) is one of the largest nonprofit, online schools in the world. Accredited by the New England Association of Schools and Colleges (NEASC) and the Accreditation Council for Business Schools and Programs (ACBSP), the school has more than 60,000 online students and 3,000+ campus students enrolled in more than 300 programs. The MS in Marketing with a Digital Marketing Concentration is one of more than 120 master’s degree programs offered at SNHU. The program covers social media, online advertising, search engine optimization (SEO), website and mobile design, and email and marketing automation. Per the school, students will also “acquire the skill set to analyze data from digital campaigns to make key marketing decisions.” Sample courses for the program include Digital Storytelling and Branding, Integrated Marketing Communications, Online Marketing Channels, Social Media Marketing, and Websites and Search Engine Marketing/Search Engine Optimization. The MS in Digital Marketing is offered 100% online, so students can take courses anytime with 24/7 access. The GRE or GMAT are not required for admission, and students can complete the graduate degree in as few as 15 months, with two courses per 10-week term.